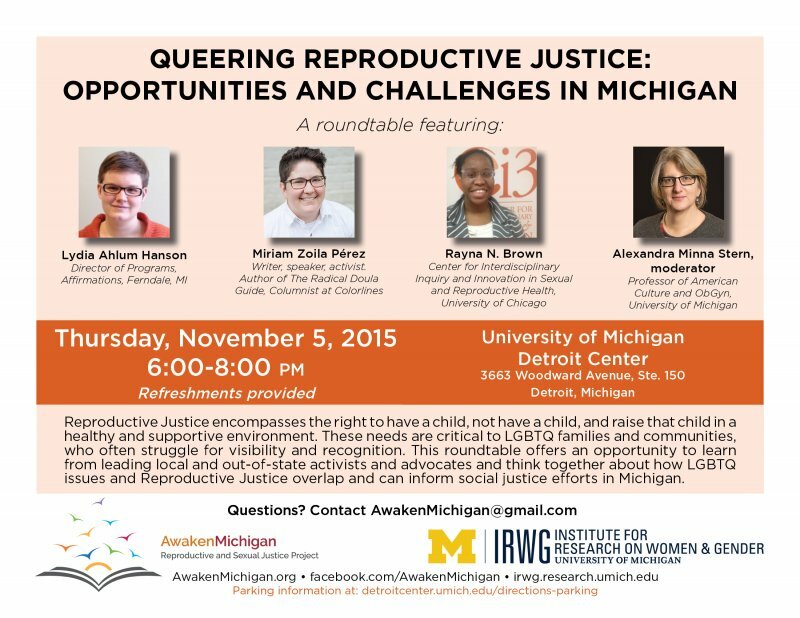 Reproductive Justice encompasses the right to have a child, not have a child, and raise that child in a healthy and supportive environment. These needs are critical to LGBTQ families and communities, who often struggle for visibility and recognition. 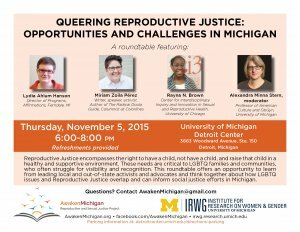 This roundtable offers an opportunity to learn from leading local and out-of-state activists and advocates and think together about how LGBTQ issues and Reproductive Justice overlap and can inform social justice efforts in Michigan.